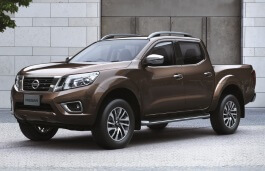 Correct Wheel Sizes, PCD, Offset, Rims and Tire specs for Nissan Navara series. 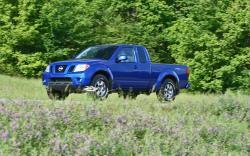 what pick up truck in the us in comparable to the 2012 Nissan Navarra right hand drive. Hi,tony,no,it can not fit for your car. Hi I have a 2013 Spain built d40 and was told I can't go down to 16" rims is this true? Hi, josh,according to my data,The oem car rims size for your car is 16''.It can go down to 16''.but if it made in spain,The specification may be changed,So Can you show me your wheel size now?And is that OEM size? Hi,Lyuben Cholakov,According to my data,yes,it can fit for your car. Hi,danny,according to my data,yes,it can fit for. Hi I have a navara Stx 4x4 2012 can I fit the 16 inch Nissan navara factory rims on it. And what offset is required ? 2013 navara can fit 265 75 r16 Tyres ? Would a set of d40 rims fit a d23? Hi,Jamie Boness,No,it can't fit it.They share the different bolt pattern. 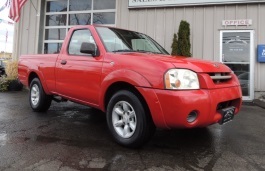 Hi,Jamie boness,You can find Nissan FRONTIER,Pathfinder. What the stud pattern sizes on the D22 139.7 or 114.3??? navara Rx 2010 dual cab 2x4 turbo diesel. Im trying to get some goodrich mud tires fitted. 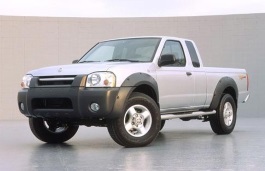 My navara seems lower then most navaras i see i have never lowered it and i got it brand new from nissan. So i went to bob jane tmart. And the lad said he could not promise me that the tire would not touch near the mud flaps. And said it might need to be jacked up. But he gave me no facts. He said hes fitted them on navaras before with no trouble. But like i said mine seems low. Even when i put a trailer on it angles down. Is there anyway to find out. I dont want to pay for him to put them on then pay to put my old ones back one etC. I have huge trouble trusting tyre stores from history. Hi,Mark,the stock wheel size for 2011 navara is 16*7,bolt pattern is 6*114.3 offset is 30mm,So the wheel size for np500 are similar.It will fit for.In fact,Can you also show nissan np500 car wheel size if possible,out data do not have that. Does Nissan Terrano 15" fit my 2004 Nissan D22? Hi,Jamie boness,No,the bolt pattern for Terrano is 6*139.7 but Nissan navara have 6*114.3 bolt pattern. Hi,Jamie Boness,No,it can't fit for.They must be in same bolt pattern . I have a 2008 Spanish built D40 Navara STX with factory 16" alloys. Will the stick 18" alloys on the 2016 NP300 Navara fit my 2008 STX? Hi,Jason,The bolt pattern for Navara is 6*114.3,Does your 2008 Navara also have this?If yes,It can fit for. The bolt patterns match, yes. It was the offset and overall wheel/tyre/width/offset combination of the newer NP300 18" that I was curious about... Will the combo fit & clear? Hi,Dan,yes,18'' rims are also Accessible,You also need put on 18'' tires. Hi,Dan,If the 18'' wheels share the same bolt pattern and similar offset,It will not these issues.I suggest that you'd find a wheel dealer to do that.To avoid some detail questions. Haven't heard back regarding my response above it you can assist please? I have a Spanish built 2008 Navara D40 with 16"x7 standard 30mm offset alloys & standard 255 70 R16 tyres 6*114.3 stud pattern. Just enquiring about 18"NP300 Navara wheels which have the correct 6*114.3 stud pattern. Will the larger 18" NP300 wheels & 255 60 R18 tyres fit and clear with the different 45mm offset ? I have thought that there could be clearance issues with brakes or at full lock? Also, can I use existing d40 wheel nuts? Yes, NP300 Navara D23 body has 6x114.3. Many popular cars have 6x139.7, but you also need wheels with M12x1.25 lugs, Nissan Pathfinder up to 2004 year wheel will fit. I have a set of 2016 np300 st 16" allots I want to sell. Which other Nissans will these fit? I have a 2015-16 np300 with 6/114.3 studs. I want to get some rims that only come in 6/139. I don't want to use a spacer/pcd changer, I want to change the hub completely, can I use some from another vehicle? If so from what. Thanks anyone who can help. 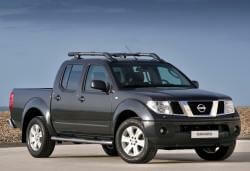 I have a Navara D40 2011. 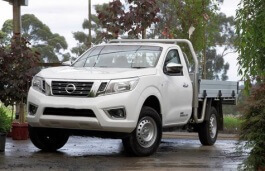 Just wondering if the new stock rims of the Np300 Navara Range would fit onto my ute? 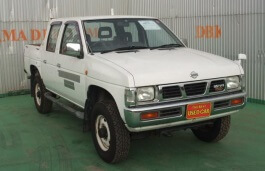 Hi,Bob,Normally,It can fit for.But if you can show your thai built wheel size,It will be help to confirm it.Also,Does D23 is also one of Navara editions? Hi,Carlo,No,the stock tire size for your car is 255/70/16,So 265/70/17 is not compatible for your car. Tyre sizes or options for a 17x9 rim? Thanks! 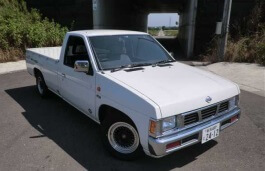 I have a 2014d40 st dual cab can I fit the np300 wheels? Hi,Andre,No,They have different bolt pattern. Good day! I got an np300 navara 4x4, changed the wheel and tyre size to 265/70/17 bfg ko2's but wast able to get the same spare tyre. Is it ok to have different brand tyre but same size? Thanks! Hi,Carlo,It is ok to have different brand tyre but same size.But the new tire size should be compatible with your current tires. 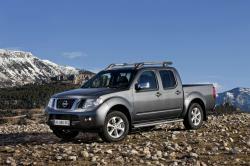 l recently purchased a Nissan Navara D40 2011 ST Thai model. Wanted to upgrade the alloys with the factory 17x7. 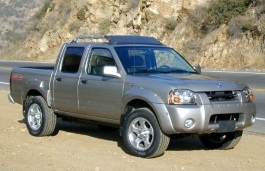 Would a set off a 2013 Thai build D40 Navara with the 17x7 fit my application??? hi there, i bought a navara stx 2017 with factory fitted 2” lift and tyres 265/70/r17 is that gonna void warranty or cause issues down the track? Hi,johnny,the stock tire size 255/65R17,I compare it with your 265/70/17 tires.they are not compatible.If possible,I suggest that you fit a set of compatible tires. I am in south africa and would like to know if the 16 inch rim on the D40 wouldn fit on the D23. Hi,Mohau,What the year of your navara? It is the 2017 model. Yes it it the 2017 model. Hi,Heath Anderson,What your current np300 tire size?I can help you confirm it. Hello will 295/65/r20 fit on a 2018 NP300? Hi,Aaron,What the current tire size of your 2018 NP300?I can help you confirm it. Hi,Stuart,What the current tire size of your 2014 D40 Stu 550?I can help you confirm it.